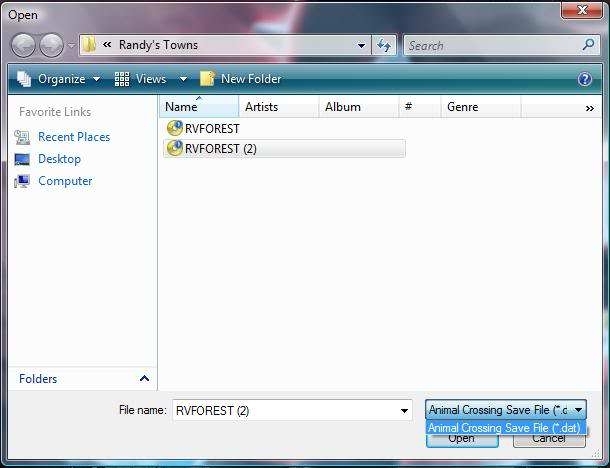 ACToolkit is a Windows/Mac program that lets you edit your animal crossing city folk save file with the help of the Save-Game extractor and installer by Waninkoko (Wii Homebrew). 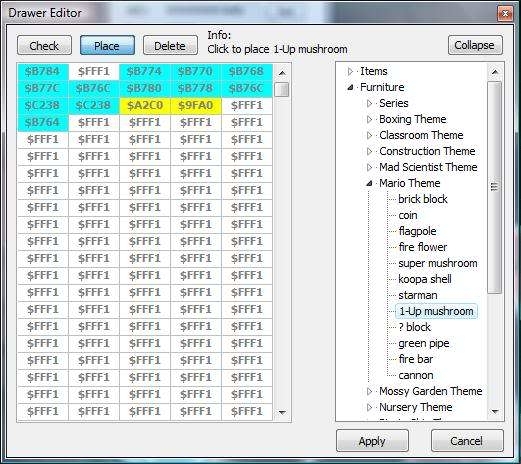 AC:CF Save (demo save found here and my town save found here). Assuming you have the Homebrew Channel already installed and you have a (legal) copy of your AC:CF game, you need to get the save game manager from the links above. Once you get these, run the savegame manager from the Homebrew Channel and extract your AC:CF save from your Wii. Please note that if you don’t have AC:CF but you want to play around with ACToolkit there is a demo save you can use (download link above). Now that you have the save you need to open ACToolkit (download link above). It will ask you to open a save. 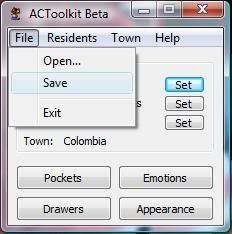 Choose wherever you have your save stored and open it. You probably noticed these are grouped like this for a reason. The reason is that these are modified all in the same way, you choose what you want from a drop down box and choose to apply. 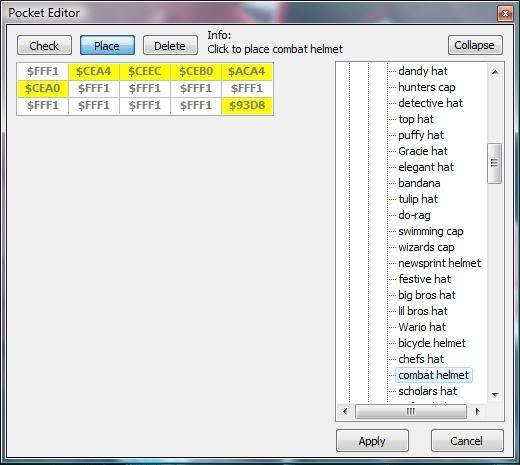 The Pocket Editor you just choose a slot and edit it with whatever item you choose on the right, the same thing applies for the Drawer Editor. These are all modified the same way. To change the amount of money you have in your wallet, the money your have in the bank, and the amount of Nook Points you have, just choose “set” and type in the amount (will be a number). 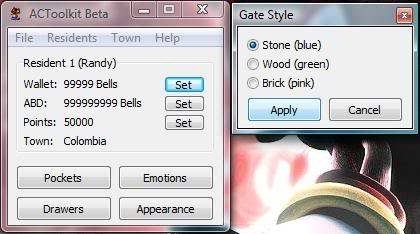 To change how your gate looks like all you have to do is click on “Town” at the top and select, “Change gate style” and pick from three options Stone (blue), Wood (green), and Brick (pink). Whenever you choose one just click on “apply”. Grass can be restored and removed. You can also change the style of the grass. ACToolkit gives no description to what “Style 1, 2, 3” are so a little experimentation is required. This feature is for if you want to edit the acres of your town like change the river path, where the waterfall is located and the ocean. If you select, “check” near the top you can see what tile is currently in that square. To change this you can choose a tile from the right menu and place it where you want it by clicking on, “place” near the top and then choosing the square you want to put it in. When you edit your town you can move your buildings such as signs, bus stop, fountain/lighthouse, etc. and you can place and remove items like flowers, furniture, rocks, etc. by clicking the options near the top. Also, you can remove all the weeds, water your flowers, remove items, and remove terrain by clicking on the options near the bottom left. Here you can edit the contents of your house. House A is for player 1, House B for player 2 and so on. 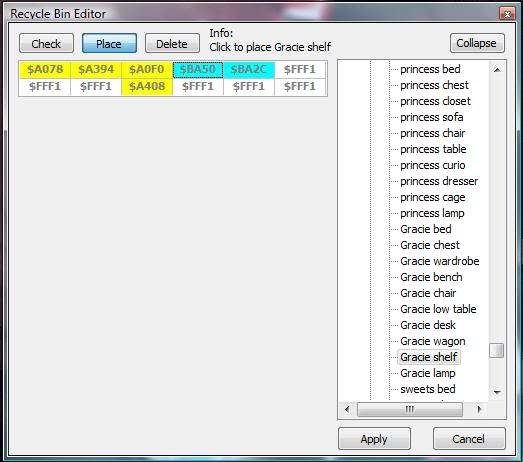 In these editors you can check what item or furniture is in the slot, placing/replacing a new item in the slot, and deleting whatever square you want by clicking in the options on the top left. 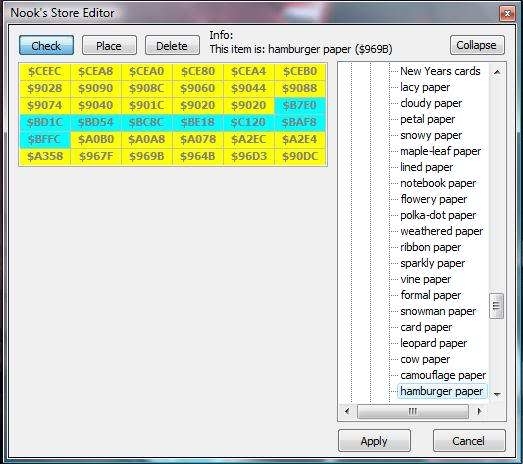 In the Nook’s Store editor you can either edit the items he’s selling or clear the sold out flags. 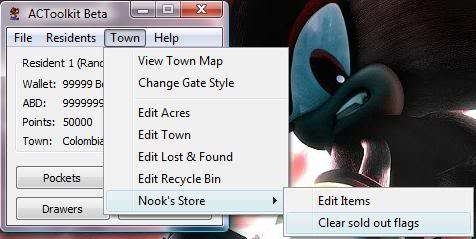 To clear the sold out flags in Nook’s store just click on that option and a window will pop-out saying that the flags were cleared. 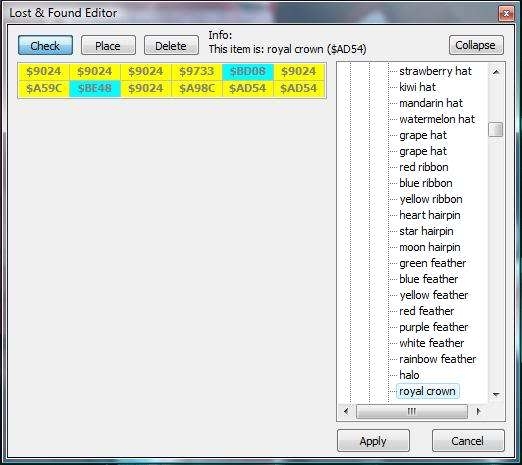 To edit the items he is selling click on, edit items and either check what is in each square, place a new item (choose from the list on the right), or delete an item that is there. This feature is for the pleasure of the eye. 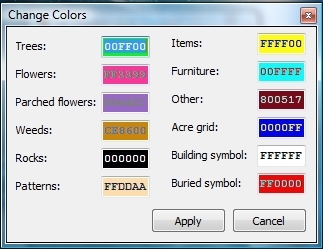 You can change how the colors of what each square represents when your editing your town by typing in a different number a.k.a hexadecimal. Here’s a list of hexadecimal colors and what they mean. Once you have edited/modified everything that you want and you want to play AC:CF, click “file” and “save” to save what you did. Put your save into your SD Card and install it via the Save-Game Manager Homebrew application and Enjoy! 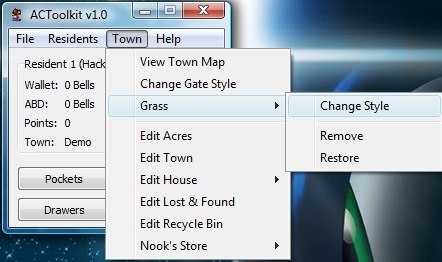 To view your town map and save it as a .jpg file, click on “town”, “view town map” and you can move it around or right-click and choose, “refresh”, “save”, or “close”. Please note: ACToolkit rights go to its creator Virus and special thanks go to DSPet.